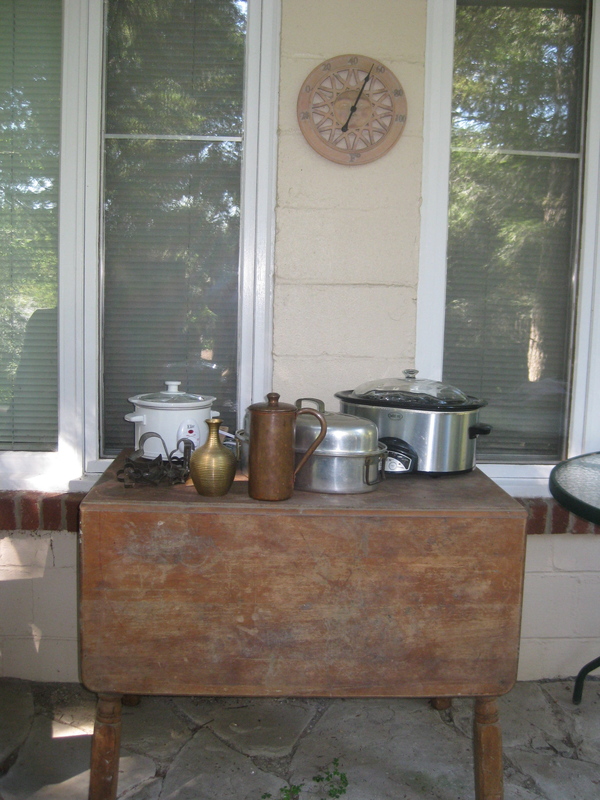 The little outdoor eco-dyeing and printing kitchen is complete now, with the addition of a two-burner cook top. Using slow cookers worked nicely to extract color from some of the organic elements, but I think steam and higher heat is needed for the next step: to get more intense colors in the surface design. This focus has transformed my daily walks with Elsa the Labradoodle. I’ve always loved these walks, and felt energized by seeing how the neighborhood transforms every single day. Now I see it differently: a windfall of sycamore bark, a handful of chestnuts, a pile of oak leaves with big galls. 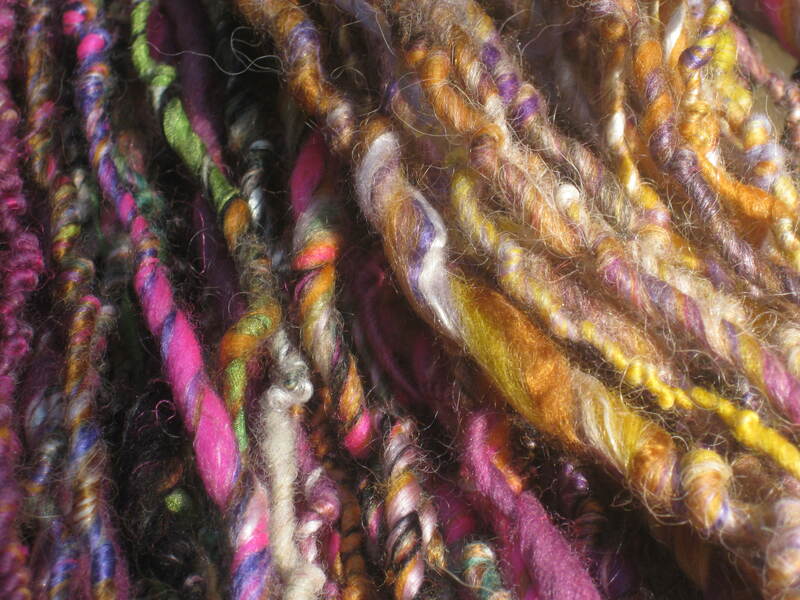 The challenge now is to limit my gleaning… even though I know winter is coming: to organize, label and store elements for a winter of continuing to explore eco-dyeing and eco-printing, and to combine this with feltmaking, and to share this re-enchantment with others. It’s exciting to have a collection of silk scarves I’ve worked on the past few weeks, with multiple layers of color and pattern from elderberries, leaves and chestnuts and from the ways that bundling the fabric and botanical elements created pattern from the wrapping and tying. It’s taken a lot of time to figure out the first step! 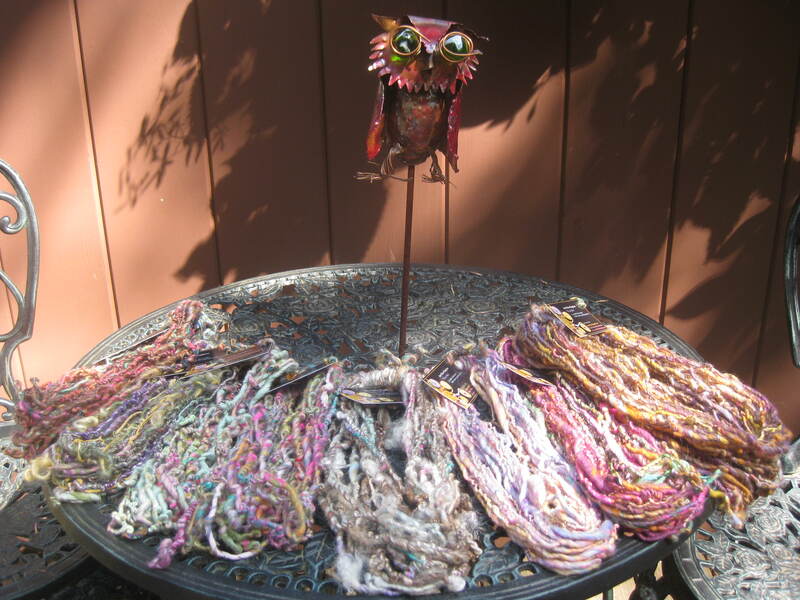 Now, as I figure out more about surface design in eco-printing, and all of the unpredictable magic of this process, I am longing to express themes via this technique; and I am wondering if others would be as enchanted as I am to explore this way of artmaking. 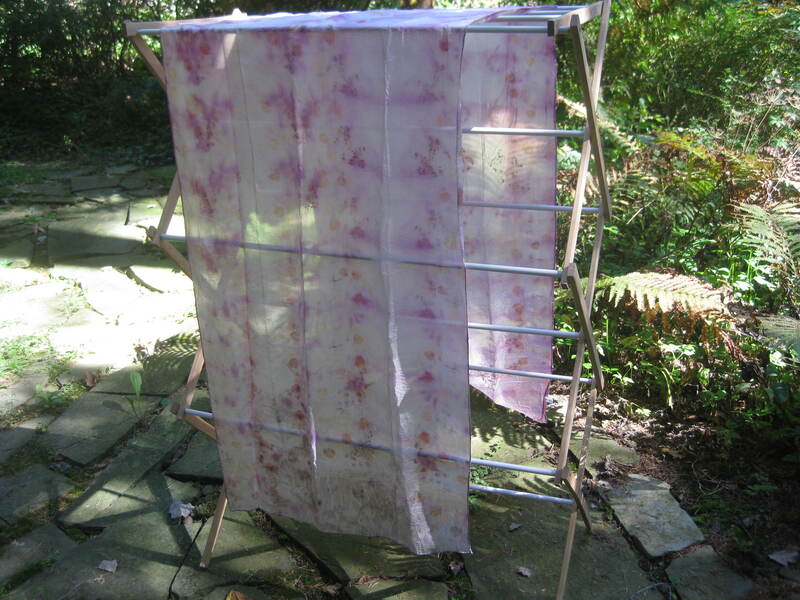 The idea of learning the technique well enough to guide others to explore eco-dyeing and printing is very appealing, in a “let’s go camping in our own back yard” kind of way. 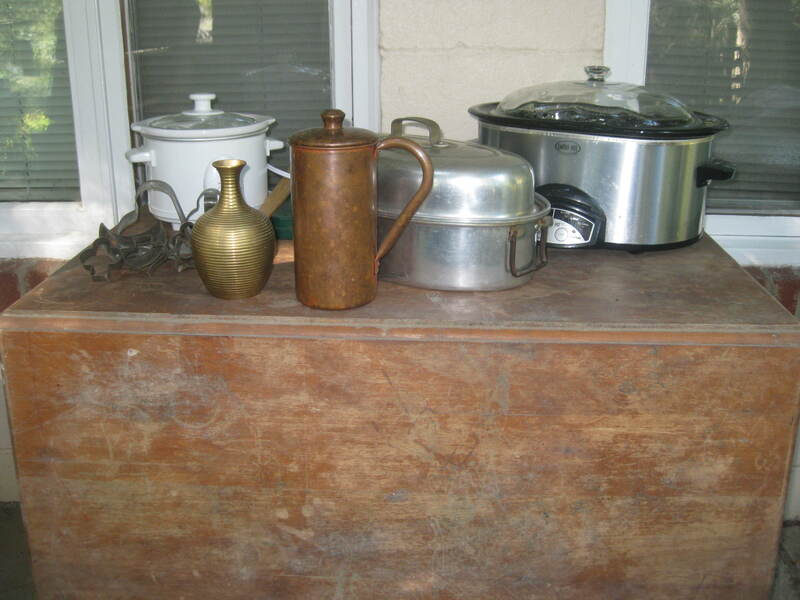 A salvaged table, some pre-owned crock pots and a copper vessel (that were gifts from kind friends, for which I’m grateful! ), a brass vase and wooden spatula from Goodwill, our old aluminum covered roaster and some old tin cookie cutters: these are the elements for a little outdoor studio, the basics for making natural dyes and making botanical eco-prints. 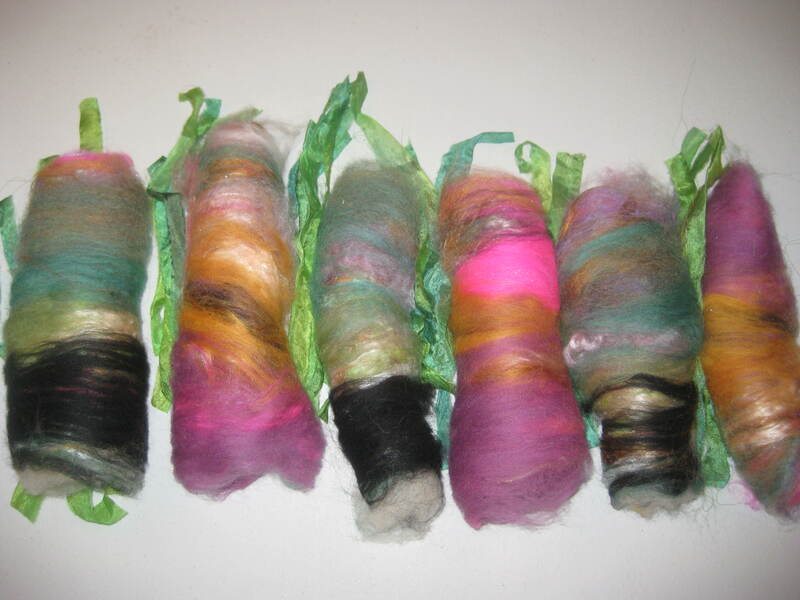 The aluminum, copper, brass and tin will be co-mordants, influencing the natural colors. 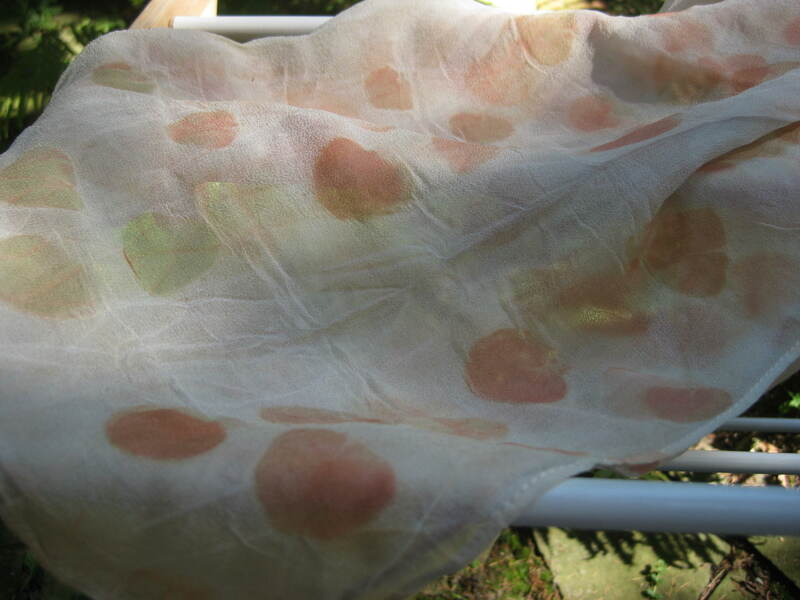 In my first explorations with this alchemy I soaked the pieces of silk overnight or longer, some with a vinegar/water solution, and some with leaves and bark and berries I had let soak in some vinegar/water. 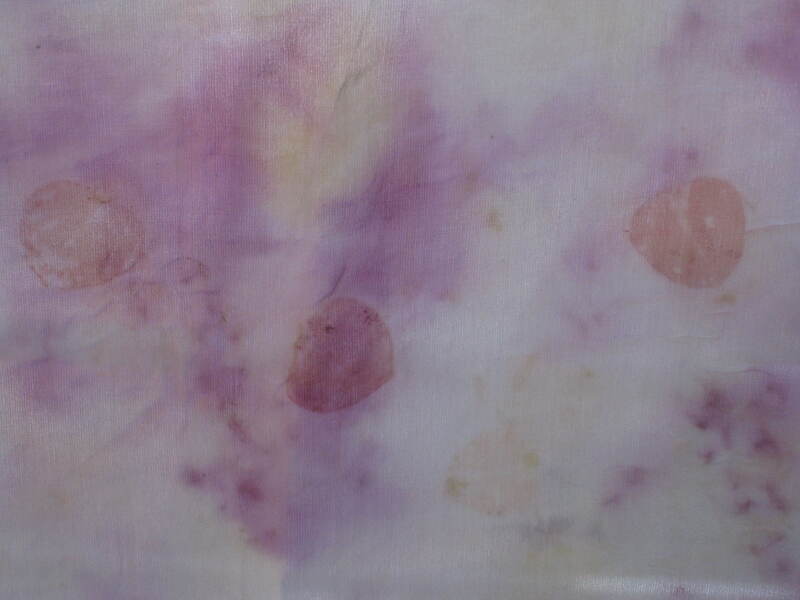 I used mostly eucalyptus and elderberries on silk, layering colors and design with repeated bundling and heating. 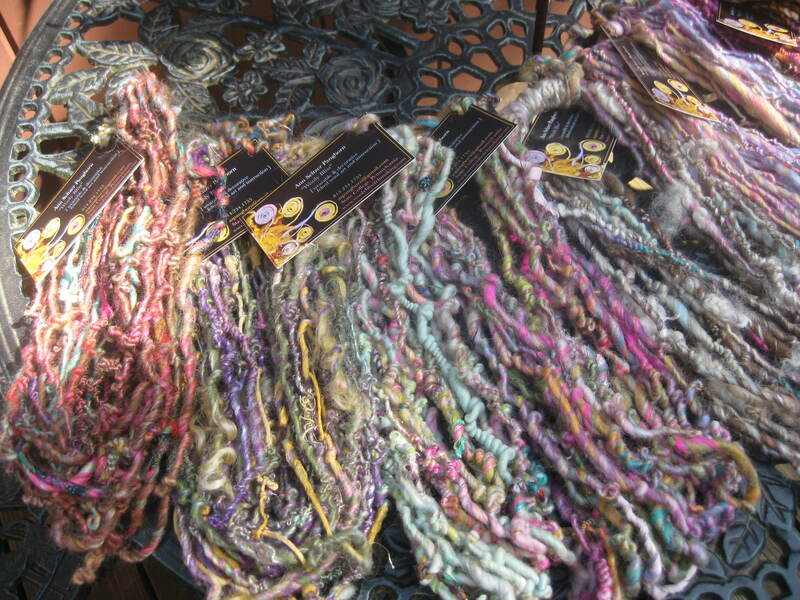 These first pieces will rest for a while, then I’ll steam iron them and rinse with cool water… and see what remains. The birds kept me company while I set up the space… A large stainless steel covered pot and electric two-burner cook top will complete the dye kitchen. A bouquet of seeded eucalyptus, along with more elderberries and a variety of leaves and chestnuts gleaned from walks with the dog are all waiting… I wish everyone could feel this simple abundance: I feel so grateful for this small outdoor covered space, and grateful for the variety of botanical raw materials that appear like magic! overnight! on sidewalks, which I glean during my daily walks. I’m grateful for the time to explore.